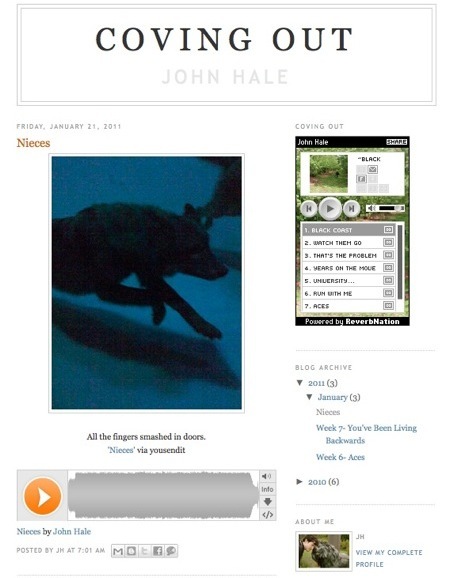 Every week, on this blog, John Hale (of The Limes) unveils a new song from his new album. For a few days, you can still download Nieces, my favorite song on this record. Bird On The Wire‘s influences are Bob Dylan, The Velvet Underground, Belle and Sebastian, Leonard Cohen and The Shins, among others. It reminds me of something, but I can’t remember what. Oliver Peel (who had invited us at his place) invited them to play in Paris. They have several dates, in particular one at Espace B on January 24th with MiLK & Fruit Juice. Check out POPnews’ 2010 V.I.P. top. Sauvage Records also have their say in this year end list.